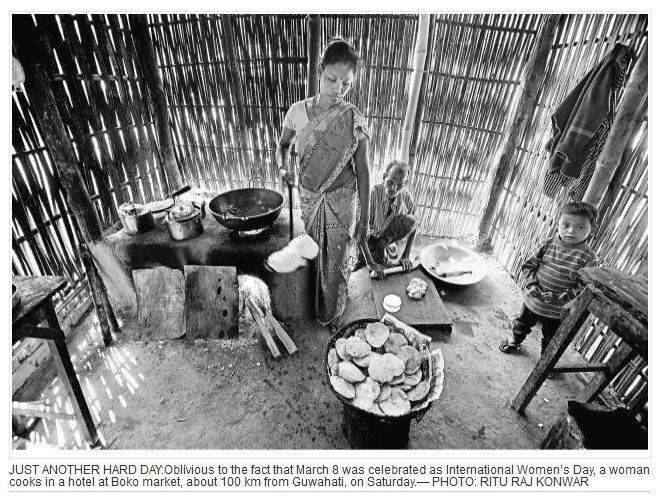 This photo story that appeared in The Hindu on 9th March 2014 laments that, “Oblivious to the fact that March 8 was celebrated as International Women’s Day, a woman cooks in a hotel at Boko market, about 100 km from Guwahati, on Saturday” . The picture shows a woman and an old man making poories (a fried food from wheat flour). But it is not the woman alone who is working in the picture’s frame. Why no mention of the man who is seen making the item? Ok, it was about Women’s Day and the focus was on women and so the man is to be ignored. Fine. My question is will The Hindu show the same fervour in making a photo story of one among the crores of Indian men toiling through the day, totally oblivious of the International Men’s Day on the 19th of November? It is doubtful The Hindu is aware of the observance of such a day for men! ← For the press, men do not matter!